Soil Mapping and Process Modeling for Sustainable Land Use Management is the first reference to address the use of soil mapping and modeling for sustainability from both a theoretical and practical perspective. The use of more powerful statistical techniques are increasing the accuracy of maps and reducing error estimation, and this text provides the information necessary to utilize the latest techniques, as well as their importance for land use planning. 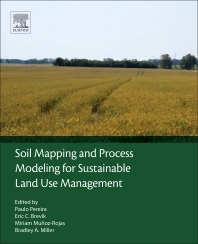 Providing practical examples to help illustrate the application of soil process modeling and maps, this reference is an essential tool for professionals and students in soil science and land management who want to bridge the gap between soil modeling and sustainable land use planning. Prof. Pereira holds a PhD in Physical Geography from the University of Barcelona focused on fire impacts on ash properties. In this PhD the studied variables were modelled and mapped. He has previous experience working on spatial modelling of environmental variables and applying these results to sustainable landscape planning. 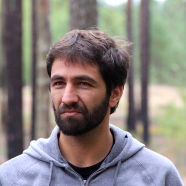 Prof. Pereira was awarded the outstanding young scientist award from the Soil System Sciences Division (European Geoscience Union) and he is Editor and Guest Editor of prestigious journals in the field of environment and soil science (Land Degradation and Development, Science of the Total Environment, Geoderma, Catena and Journal of Soils and Sediments). Prof. Brevik holds a Ph.D. in Soil Science from Iowa State University focused on pedology. His research has included investigating the use of electromagnetic induction techniques in soil mapping, evaluation of the accuracy of National Cooperative Soil Survey (USA) maps, and combining information from soil and geology maps to improve landform mapping. He has also investigated the history of soil mapping and classification, particularly as it relates to the USA. Dr. Miriam Munoz-Rojas holds a PhD in Natural Resources and Environmental Sciences from the University of Seville focused on modelling soil carbon sequestration at different soil depths. One of the most significant outcomes of this work was the development of a spatial tool for soil carbon assessment of Mediterranean soils. Her research has also involved mapping and spatial analysis of land use changes and soil carbon under climate change scenarios. Dr. Miller worked for several years in the fields of pedology and environmental science before completing a PhD in Geography. His experience in these different, but interconnected, areas of research provide a unique perspective on addressing interdisciplinary issues, particularly in regards to spatial modelling.